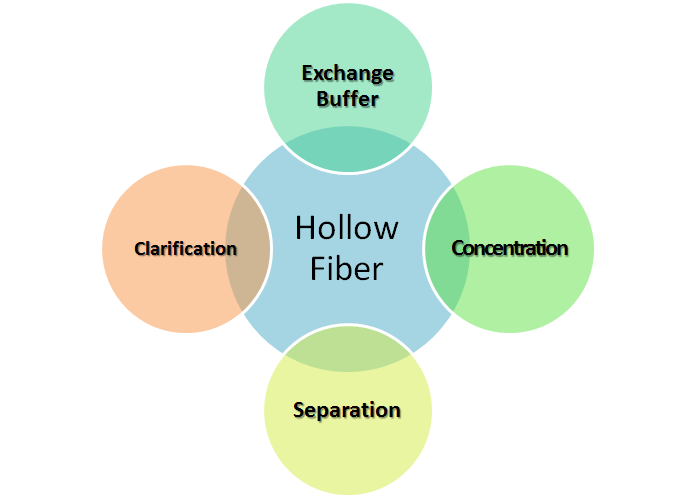 Filtration is a technique that utilizes a porous barrier to separate suspended or dissolved materials in solution based on size or molecular eight. 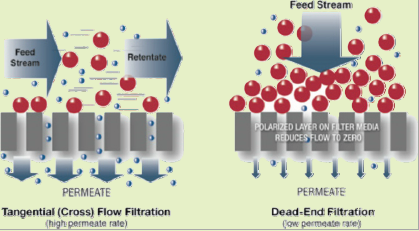 Refer to ﬁgure as below, two type of membrane ﬁltration system are used, dead-end ﬁltration and tangential ﬂow ﬁltration (TFF). of the retentate across the surface of the membrane. Concentrated of Cell, Virus, Bacteria, Alga, protozoa etc. 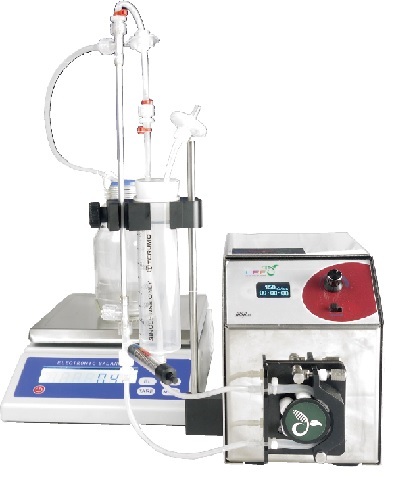 Flow Rate Control from 0.2~250 ml/min, includes timer and calibration. 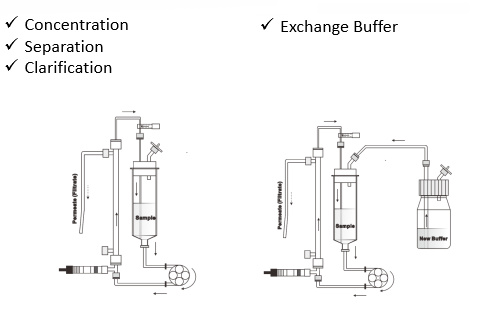 Kit : includes pressure generator device, pressure indicator, silicon tube, ﬁttings and connectors. Optional Scale : 5 or 10 kgs Type to stop TFF control unit.